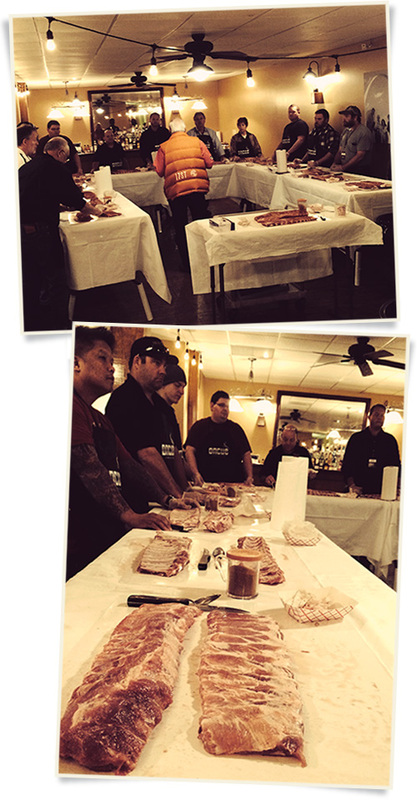 Here’s a little sneak peek behind the scenes of our April Business of Barbecue™ class. We produce this sold-out class each April. 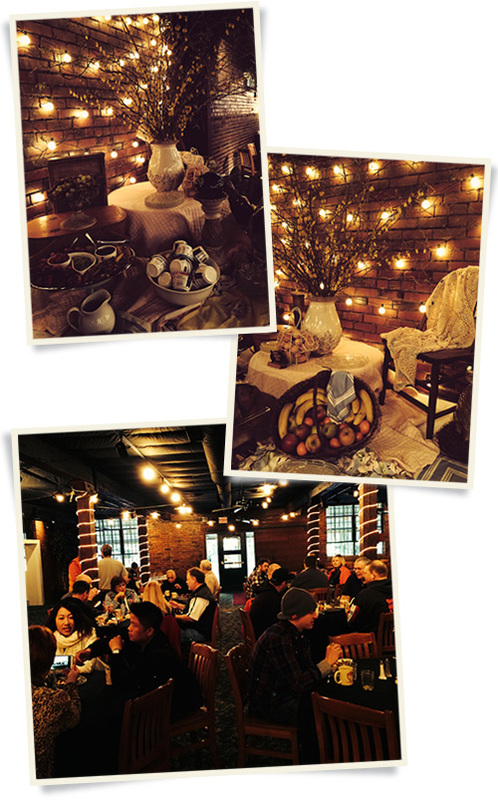 Our catering director, Becky Streuter, sets the stage with beautifully arranged displays and lots of delicious food. From serving the meals to mingling with the participants and answering questions, it’s an all-hands-on-deck affair with several 1-7 pit crew members helping out. We focus on prepping and cooking ribs, chicken, brisket, and pork, with an emphasis on cooking and holding for restaurant production. 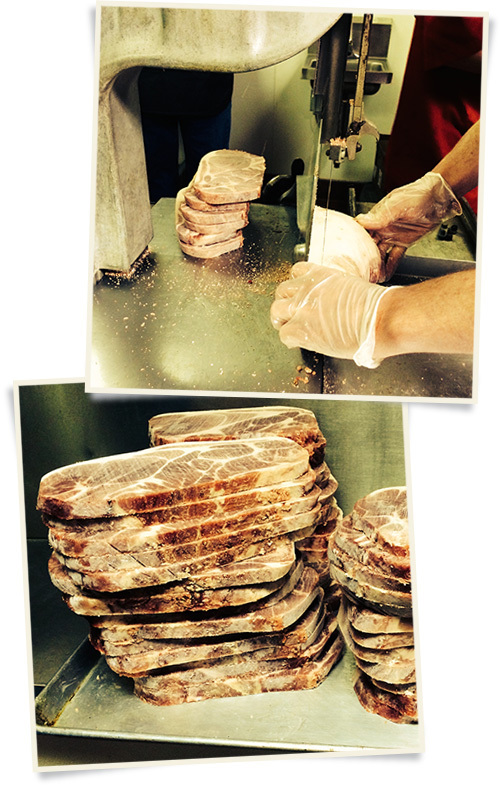 Our pork steaks are one of our most popular menu items and one of the favorite meats we prep and cook during the class. 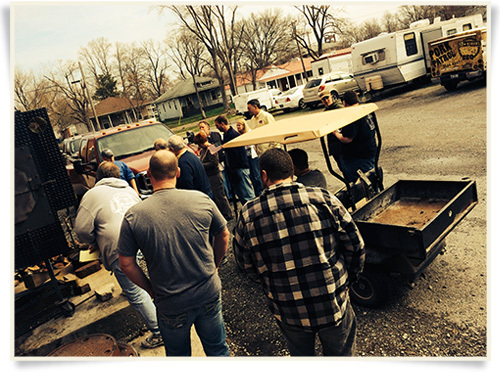 We spend a great deal of time gathered around the pits, talking wood, timing, and the mechanics of our Ole Hickory Pits. Our kitchen crew is always feeding us delicious treats during the class. 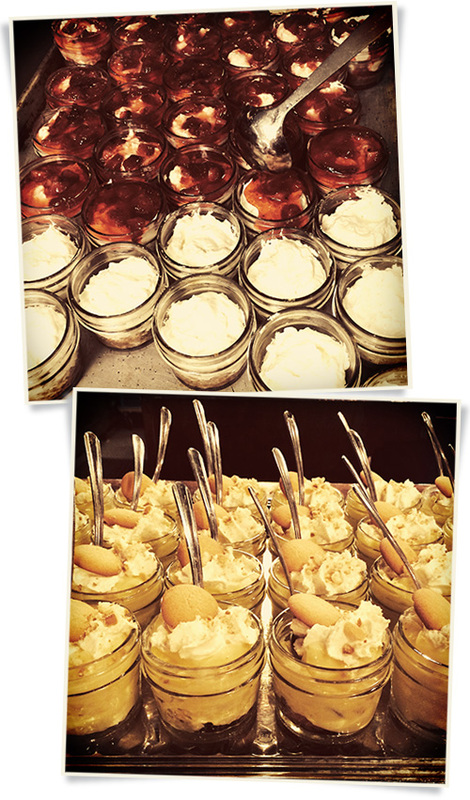 These mason jar strawberry cheesecakes and banana puddings were awesome. 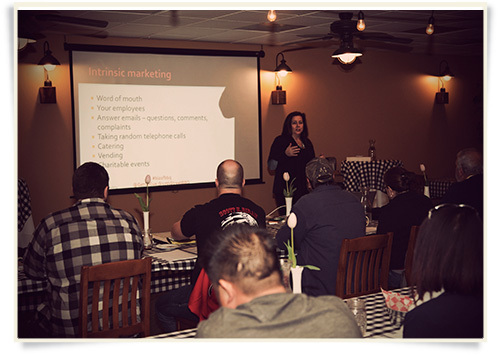 In addition to food prep, we discuss a variety of business topics including branding, marketing, PR, vending, and financials. 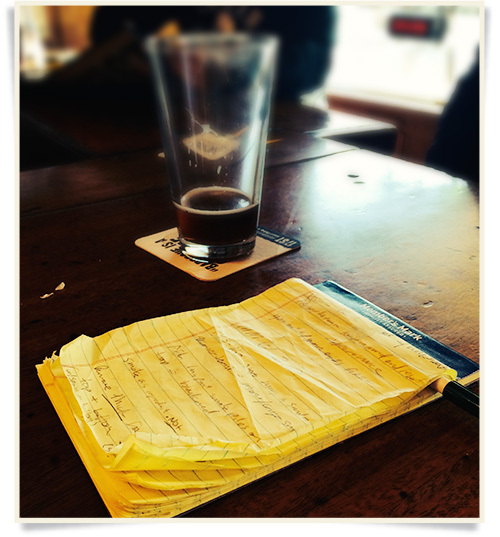 Class notes are like GOLD. Of course, there is a lot of sampling. Pacing is key! 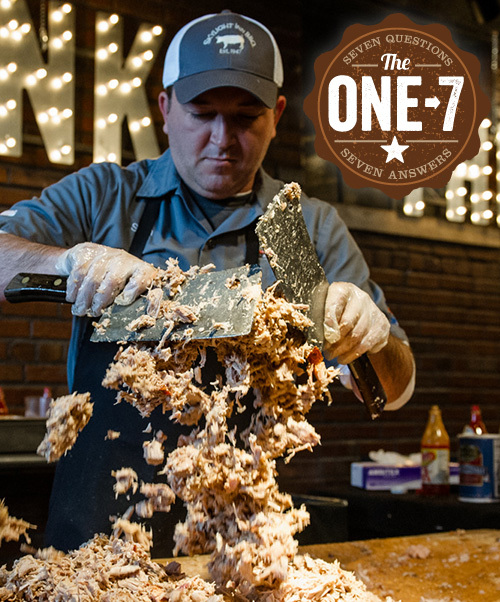 We’re proud to have incubated dozens of new barbecue restaurants around the world and to have worked with existing pitmasters who want fresh ideas and an opportunity to see behind the scenes at 17th Street. 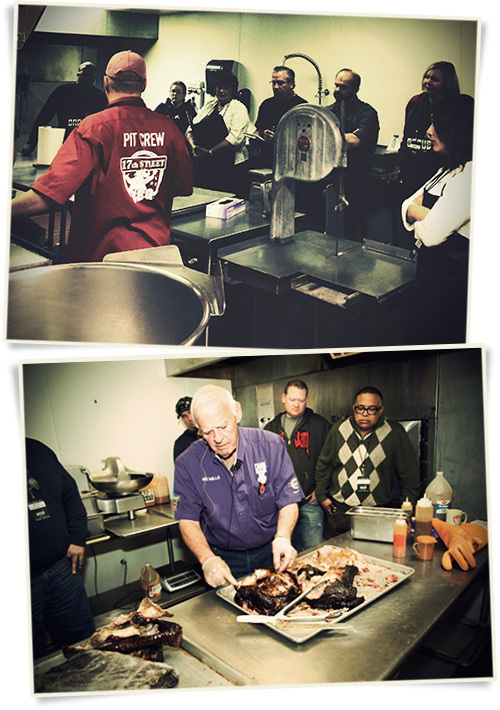 We’ll be conducting a Catering Master Class in November, the Whole Hog Extravaganza/Brisket Bonanza/BBQ MBA in January 2015, and Business of Barbecue in April 2015. Please be in touch if you’d like to register. Our major OnCue class sponsor is Townsend Spice & Supply, blenders of our famous Magic Dust dry rub. They blend spices for many of the top barbecue restaurants, as well as other restaurants in the country, and we use their fresh, high-quality kitchen spices as well. Please consider them for all of your spice needs! 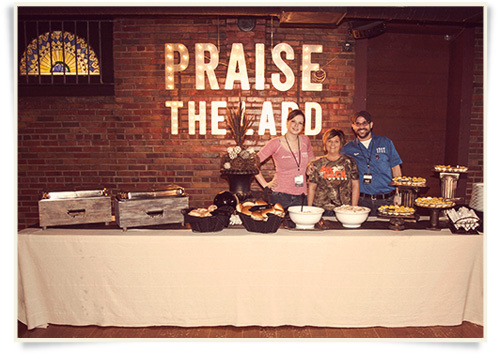 We are grateful for their continued financial support of our events. 1. Travel destination: Nashville, TN. 2. Best gift received: A trophy given by Ayden Fire-Rescue, where I serve as a volunteer, following a triple fatality in a residential fire. Two of the victims were children whose parents I knew. It reminds me why I joined the fire service. 3. I admire: Many people. 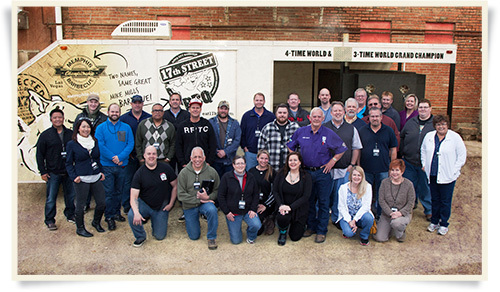 Some personally, some professionally, and some for what they give back. My Father and Grandfather are probably the two that stand out. 6. Favorite meal besides BBQ: My Mother’s country-style steak, mashed potatoes, mac ‘n’ cheese, and her perfect homemade biscuits, with biscuit pudding for desert. This would be my request if I were going to the electric chair! 7. Drink of choice: Ice-cold Cheerwine has been my favorite drink since I was a child.